Rachel's Felt | Felt craft with a fine art feel. Felt craft with a fine art feel. Well, I have to say, it’s great to start painting again. 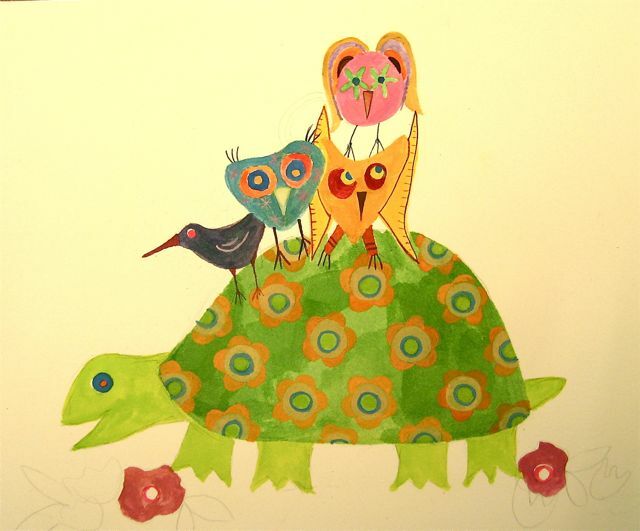 Last week I got into the studio and was inspired to start some small scale animal themed paintings. It was a nice change from the “feltworks” which I’ve been focusing on the past few months. Since my background is in painting, I felt that going back to the watercolors and gouaches has freed me up a bit. I’m also focusing on replicating some of the amazing patterned recycled fabrics I use in my “feltworks” into paint. More pics to come very soon! Maynard Fest 2011 is on! 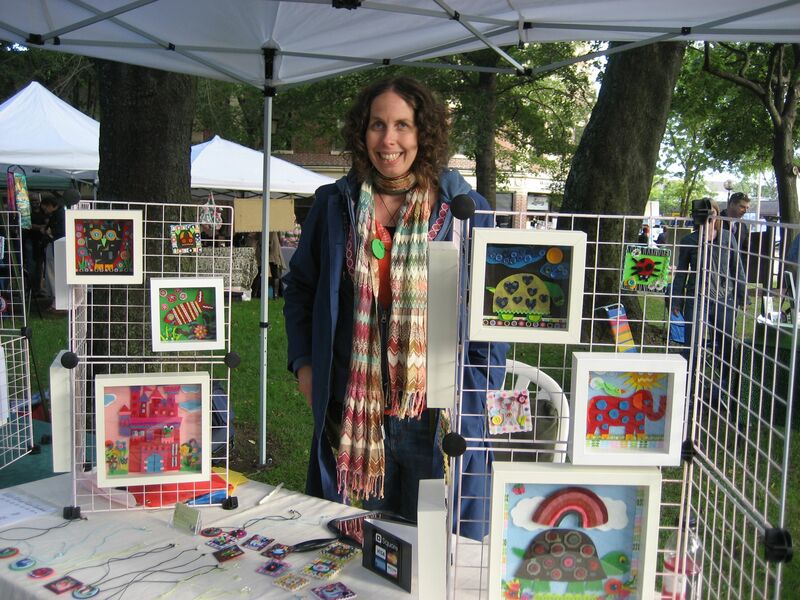 After a good showing of my work at Art on the Green for Arlington Home Day, I’m eager to be exhibiting my work in my home town of Maynard, MA at Maynard Fest this coming Saturday, October 1st. On display will be a wide array of framed artworks, pendants, pins and magnets. 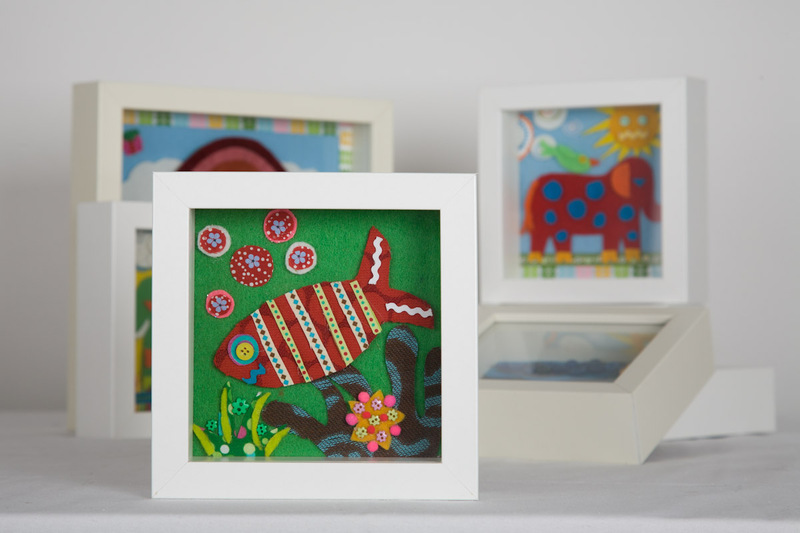 Each piece of Rachel’s Felt and Fabric Creations is a one of a kind creation displaying a playful animal or creature. I’ve also been working on some fun Halloween pieces that will brighten up you fall. If you’re unable to come to Maynard Fest this coming weekend you can check out my items at the Conant School Craft Fair Sunday, Oct. 23rd in Acton. Thank you for visiting! This is my long awaited blog that I should have tackled years ago, in order to promote what I do apart from teaching full time and raising two boys. The goal is to write in it weekly, in order to highlight my newest creative endeavors. My hope is to include all of my passions: creating “stuff” whether it be painting, crafting, or cooking a new recipe. Now that I will be teaching 4 instead of 5 days a week, hopefully I’ll have the time to spread the word and show the world my work and inspirations.